The corporate area during the National Sports Collectors Convention is always a busy place. At least that’s what I’ve experienced during the five Nationals I’ve attended. Of all the companies setup, I think Topps is one of the better run and more active booths. 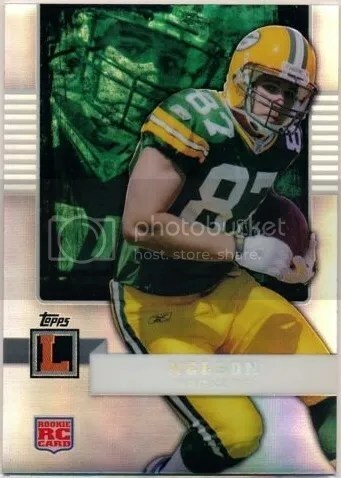 Topps knows how to do promotional cards the right way. Creating special cards that can be integrated into an already successful existing product is the best way to go. 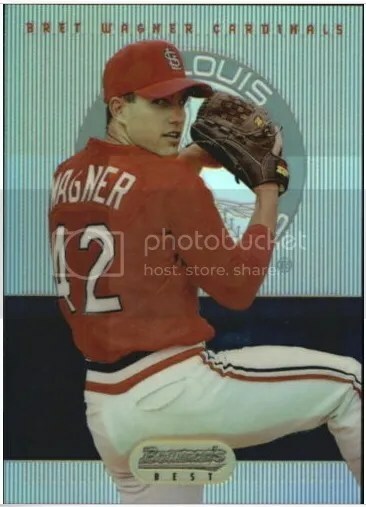 For the last few years, Topps stuck with making National-exclusive Allen & Ginter cards. Before that, they also touched on special Gypsy Queen, Bowman Platinum, and Heritage cards too. 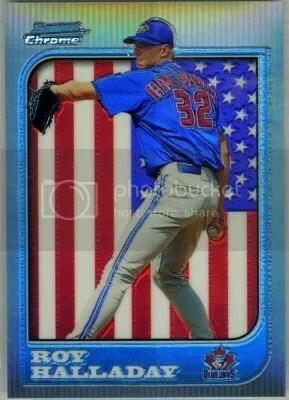 In 2010, I remember it being a battle to obtain that Stephen Strasburg National-exclusive Topps Heritage rookie. Over on the Topps blog, they recently announced their wrapper redemption plans for the 2016 National. 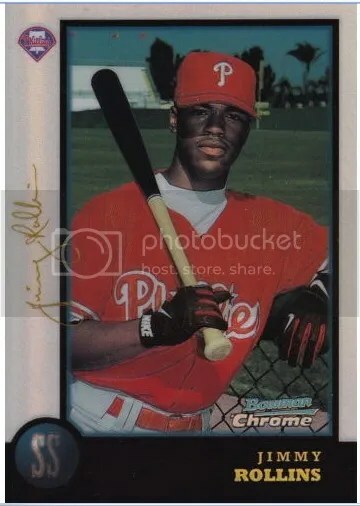 They’re going with commemorative “National” refractors all designed to look like 2016 Bowman Chrome. You can see the entire checklist here. You’ll find plenty of young talent within this set, but prospects and rookies aren’t the only thing Topps included. Current stars and retired legends are in here too. 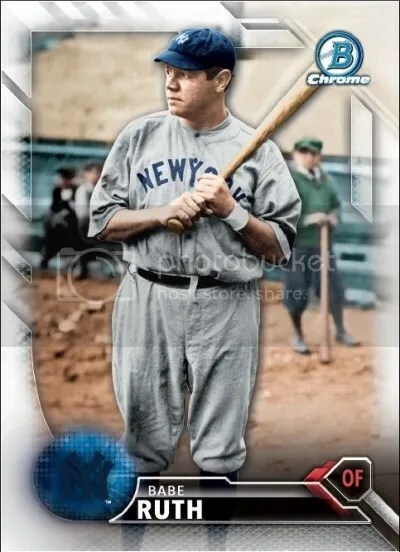 Its uncommon to see someone like Babe Ruth in a set reserved for many players who haven’t even made their MLB debut yet. Randomly inserted parallels and autographs will be found. According to Topps, it sounds like a lot of the qualifying products for their wrapper redemption program will be some of the more affordable ones. This way more collectors can participate. But I bet if you walked over with a box of Bowman Inception or another high-end 2016 baseball product you’d still be eligible for some promo packs considering the cost is much more. I’d ask before doing so though.